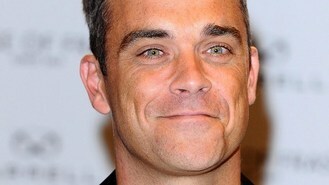 News - UK's the one for Robbie Williams? UK's the one for Robbie Williams? The Take That star, who is based in Los Angeles with his pregnant wife Ayda Field, is said to be keen to establish a permanent base in Blighty for himself and his family. According to the Mirror Robbie - who arranged for Ayda to be flown to London by private jet so she can give birth here - will rent a home until he finds the perfect property. A source told the newspaper the singer's "heart still belongs in the UK". Robbie has been filming his new video in the capital. He was spotted larking about in a pink suit during the shoot in east London.